Here at the Honor Oak we love a good bash as much as the next person but sometimes you want a space to call your own. Thankfully we have not just one but two spaces that you can book out! Grab a look at the spaces below and then get in touch with roxy@laines.pub or submit an enquiry through our booking form and we’ll make sure to get the ball rolling on your dream function. This space is a golden nugget for private hires, an area that we can perfectly tailor to your requirements. Hosting its own private bar and plenty of space, not to mention the wooden flooring, inbuilt PA sound system, LCD TV and large sash windows allowing plenty of natural light through, we guarantee that you’ll be pleased as punch when you hire out this bad boy. 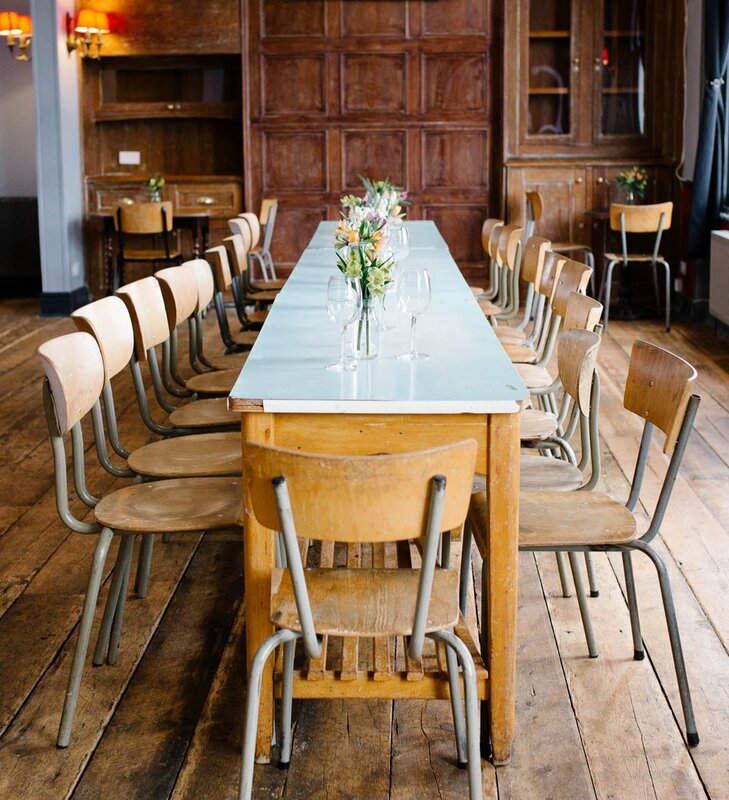 Accommodating parties of 60 or 30 for a sit down meal it’s the perfect space for your soiree of choice. Let’s face facts, we all secretly want to host a dinner party like we’re on Come Dine With Me but who can be bothered with the actual cooking and washing up? Thankfully we’ve got you covered with the kitchen on side to help you out! 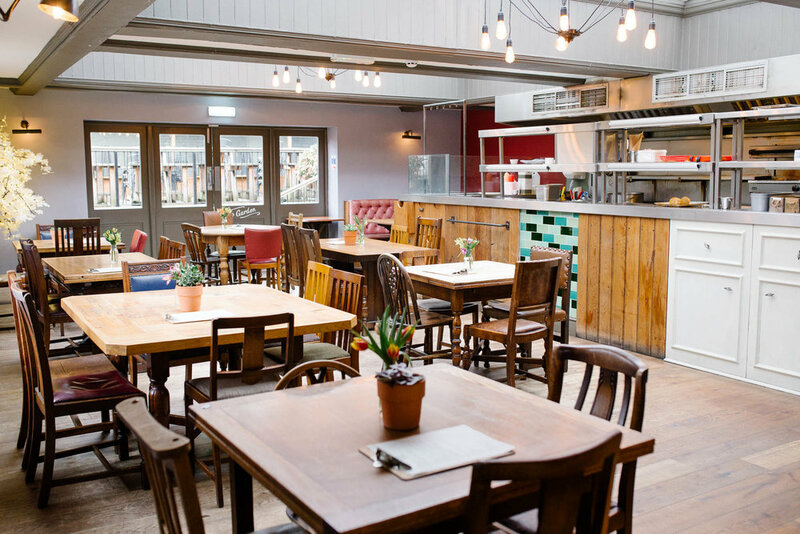 This space can comfortably accommodate groups of 60 and you even get to watch the chefs at work while you relax with a well earned tipple of choice!